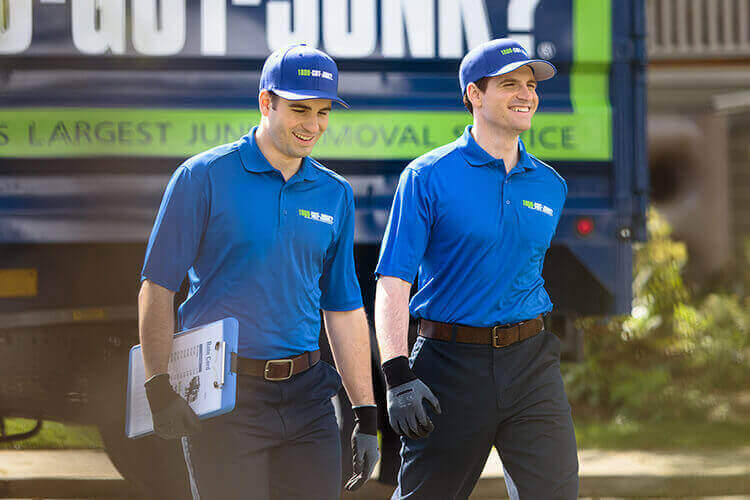 Attic Clean Outs & Removal Services | 1800-GOT-JUNK? When we have things in your home that we don’t need anymore, we tend to store them or hide them out of sight instead of actually getting rid of them. Attics are prime spaces for storage and can get filled up quickly with rubbish and things we just don’t need. This leaves you with an attic filled with piles of rubbish that get in the way and prevent you from easily accessing the things you need to get to. What often makes the problem worse is that attics can also be tough to clean out, since they can sometimes be tricky to access. This is especially difficult if you’ve got larger items that you need to remove from your attic. The good news is, attic cleaning isn’t a job you have to take on by yourself. 1800-GOT-JUNK? is here to help! We’re rubbish removal experts, which means we make the process of cleaning out your attic an easy one. When you choose us for attic cleanout services, you don’t have to worry about moving your items from the attic—we’ll pick them up right from where they’re located. We’ll do all the heavy lifting for you. All you have to do is point!